Have you ever walked into a store and grimaced at the disgusting appearance? 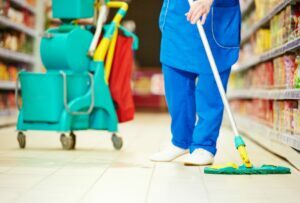 From dust overflowing from the windows and ceiling fans to bugs running across the floor, regardless of your industry you need to have a spotless retail store. Customers deserve a quality shopping experience. Dirty stores can’t provide this. And if you are in the food and beverage or grocery business, you better have a clean store if you plan on staying in business! Imagine you walked into a grocery store with the intent of purchasing ingredients for a recipe. As you’re walking around the store, you begin to notice that the aisles are full of spills, there seems to be a rotten odor throughout the store, and many of the ceiling lights are burnt out. This store appearance and overall experience certainly doesn’t scream, “Purchase our fresh and delicious produce and food items!” Instead, it screams, “Run far, far away from this grocery store. Clearly, the food is bad!” The appearance of your store directly affects the customer’s overall experience. Their experience dictates whether or not they make a purchase. As you can imagine, a negative shopping experience does not translate into a sale for your store. Keep your store neat, tidy and beautiful, and watch as the sales continue to climb. This is especially important if you’re competing against big brand, chain stores. You can be certain these stores will usually be clean as they typically place an importance on achieving a high level of shopping experience for their customers. You need every advantage when competing against these stores. Specifically for food and beverage industry stores, a dirty appearance can lead to major trouble. From food inspectors to landlords and beyond, your store must be kept clean in order to meet the demands of these industry professionals. If your messy store is forcibly closed due to a bad rating, eviction from your landlord or another entity, you’ll have more to worry about than sales! If you are a relatively new business, you need to generate a customer base. To do that you market your business extensively, but you also need to make a good impression in-store. A clean store with a beautiful appearance will lead to greater sales solely based off of a great first impression. 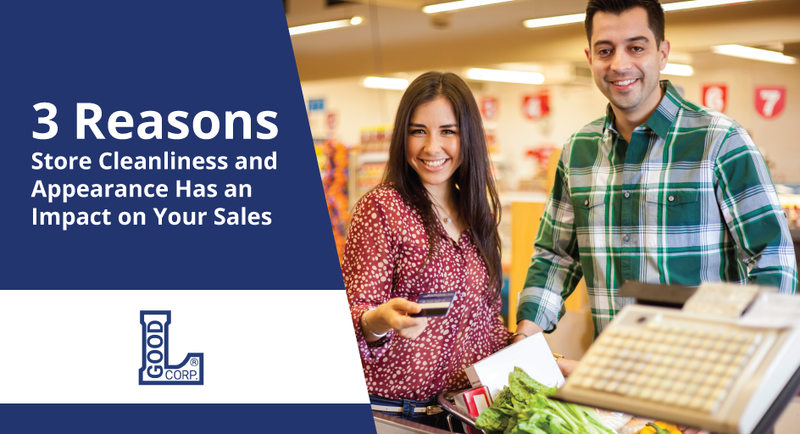 When customers enter a disheveled, gross and unorganized store, their first impression equates to, “I’m not spending my money here!” This is again part of providing a positive customer experience, and it is much more important today than it was years ago. With online reviews becoming increasingly more prominent in maintaining reputation, you can rest assured that if your business is dirty and customers have a bad experience, they’ll make it known through online channels such as Yelp or reviews on Google. When’s the last time you purchased a new set of shopping carts? If you can’t remember the date, it’s time to purchase new shopping carts for your store. Believe it or not, but the quality and appearance of the shopping carts is a component of the entire shopping experience. And as we know, the customer experience can lead to increased sales! Good L Corporation has the perfect shopping carts you need to improve or maintain your store’s overall appearance. Contact us today and we’ll get started on your order!